“The most dangerous thing a Jew can do in Germany”. According to my fellow Jews in Germany, “the most dangerous thing” was to put on a kippah and then wear it in public, and to thus let everybody encountering you on the street know that a Jew was in their midst. And that’s precisely what I did on December 1, 2012. I put a kippah on my bald head and went out my front door in Munich. What actually happened disproved their predictions. Over the last three +years, in Munich, Berlin, Hamburg and dozens of other cities in Germany, I have had a series of wonderful, heartwarming experiences. 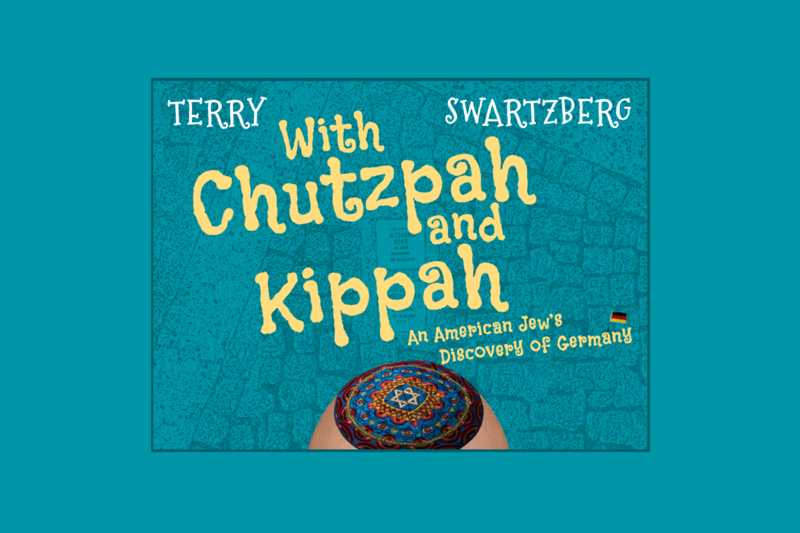 “With chutzpah and kippah” is about these experiences. It is also about how a very normal reformed American Jew came to live in Germany, and came to decide to wear a kippah every single minute in public in it. It is also about what it meant and what it means to be Jewish in today’s world. And about atonement, remembrance and redemption. Actually, to be totally honest, it’s an opportunity to wow you with my favorite anecdotes. They are all true. And unadorned. Well, a little bit of schmalz never hurt anybody.